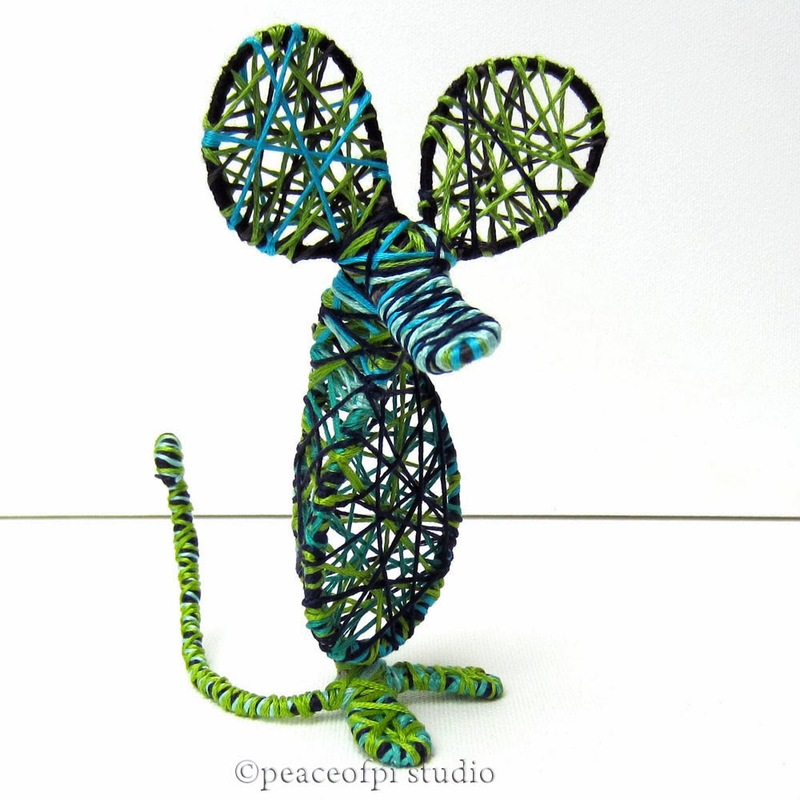 This mouse sculpture is made of wire and thread in shades of blue and green. The strings were wrapped and wound around the wire structure to create a hollow see-through effect. While the flossy threads encircling the wire are soft and silky, it is not quite soft enough to be called a soft sculpture. Maybe this mouse can be considered semi-soft? Either way he's a nice addition to the menagerie.